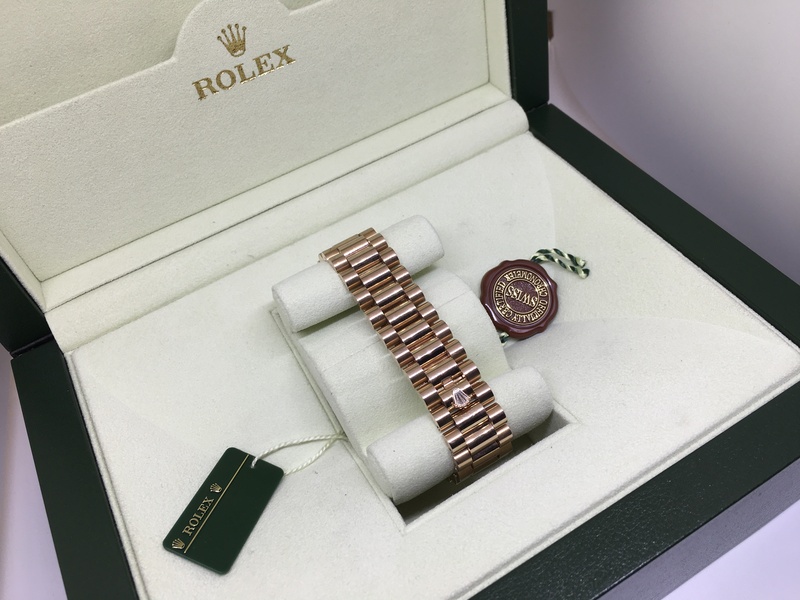 2013 18 carat rose gold Rolex Day Date on a President bracelet. 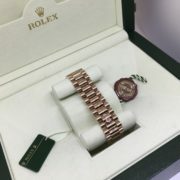 Salmon dial with Roman numerals. 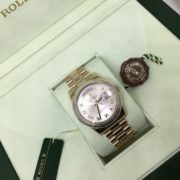 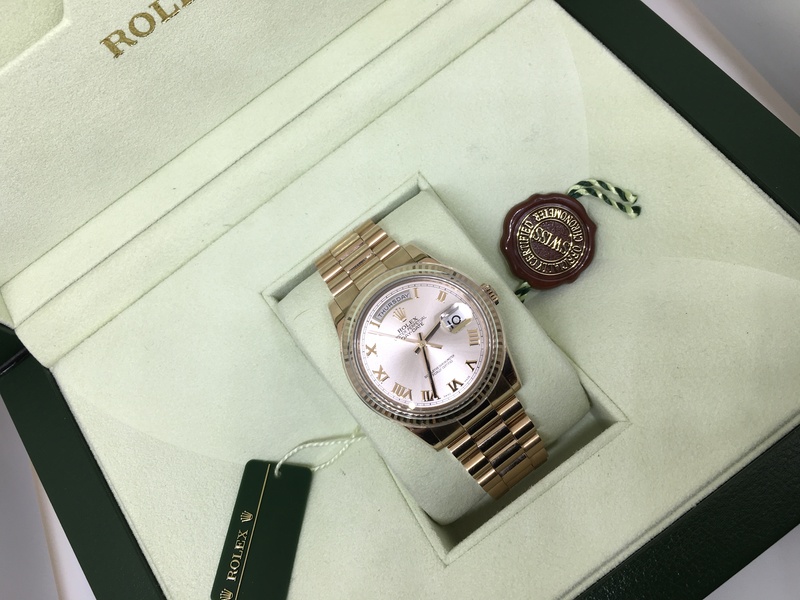 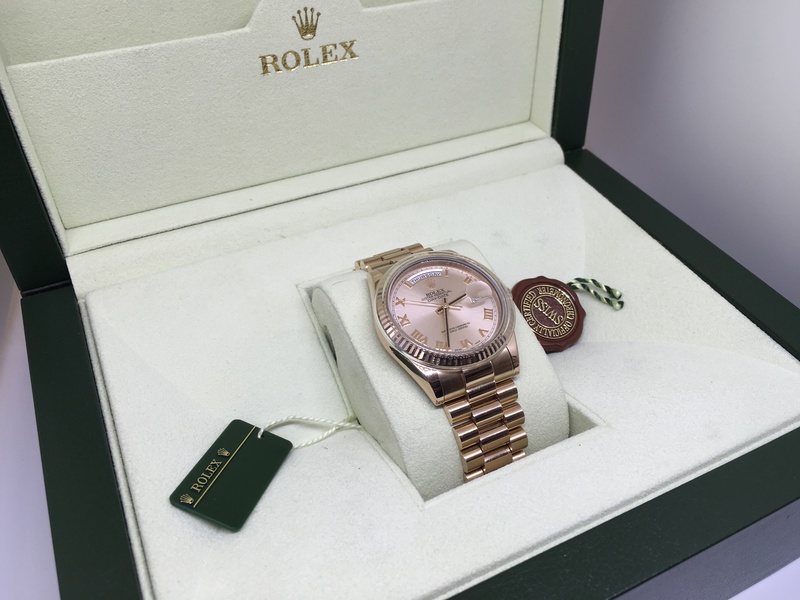 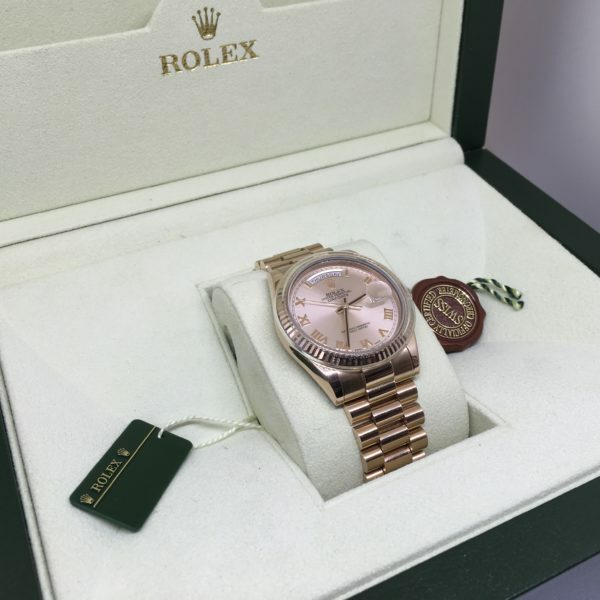 This Rolex comes with the original box and paperwork.